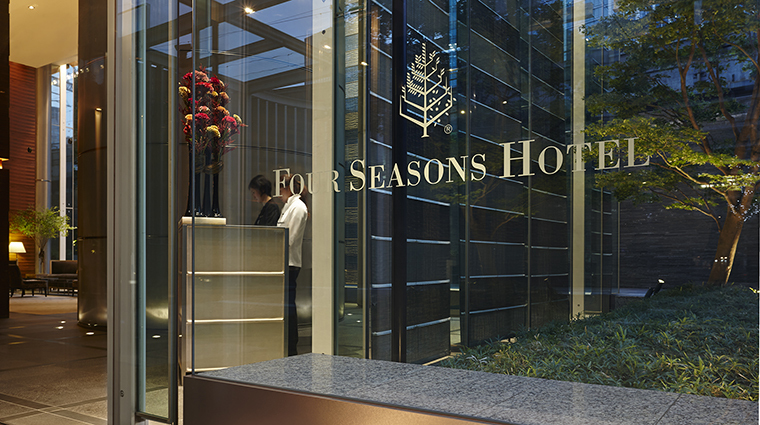 Arriving at Four Seasons Hotel Tokyo at Marunouchi is unlike any experience you’ll have at other Four Seasons hotels. 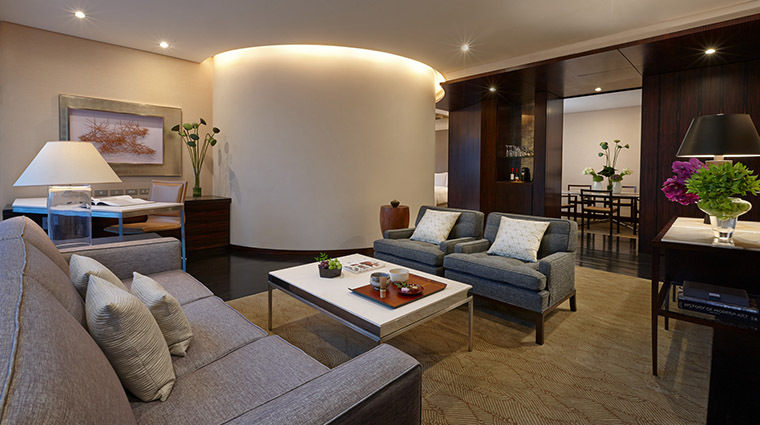 In fact, the property itself is a bit different from the others in the international luxury hotel brand — it’s a true boutique property with less than 60 rooms and the arrival experience follows suit. 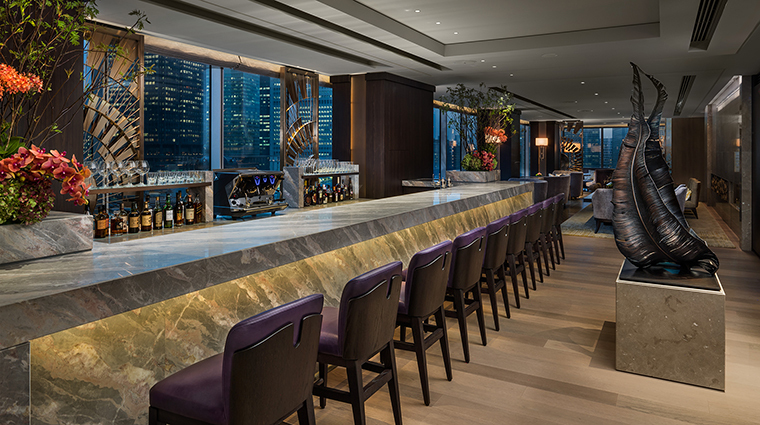 The lobby is actually a simple counter tucked away on the first floor on the Pacific Century Place Marunouchi Building in Tokyo’s main business district. 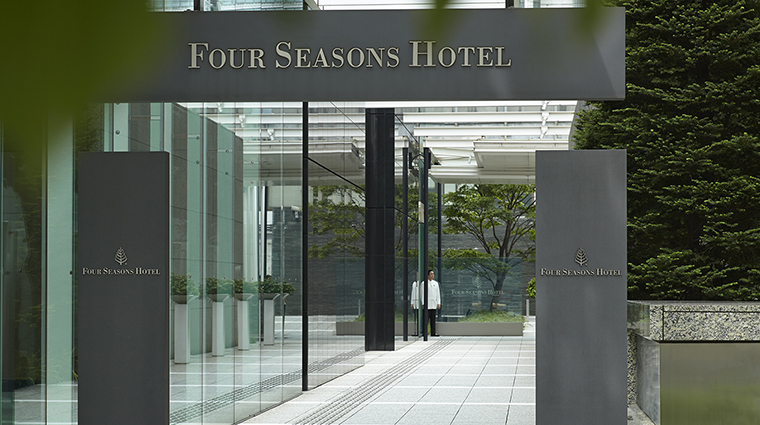 Once inside, Four Seasons’ renowned charm and efﬁciency kicks in and your luggage will be whisked up to one of the guest rooms situated between the third and sixth levels. • Occasional art pieces, many of them photographs, lend an organic modern vibe that sits well with the austere black walls. Other pieces, including installations of African inspiration, create beautiful spaces in and around the public areas. • Bold black lacquered walls and thick subdued carpets create a feeling of calmness from the hallways into the guest rooms. • In the guest rooms, the windows provide soothing natural sunlight to help soothe weary travelers used to fluorescent light. 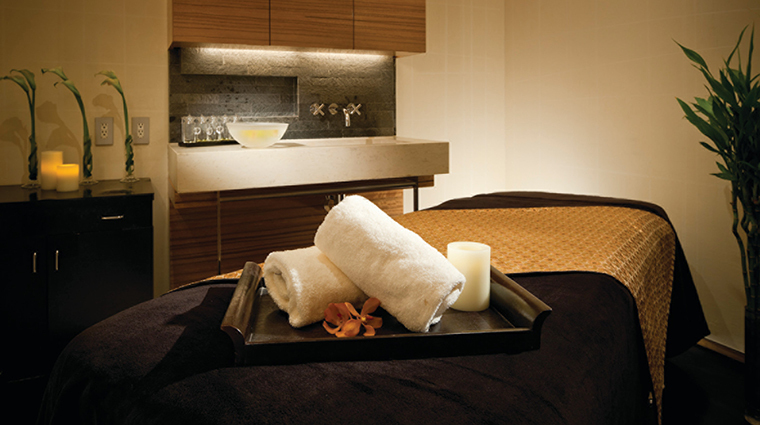 • While it may be a boutique hotel, it doesn’t want for wellness-minded amenities.The petite two-treatment room spa also offers a sauna, jet showers and separate men’s and women’s changing rooms. 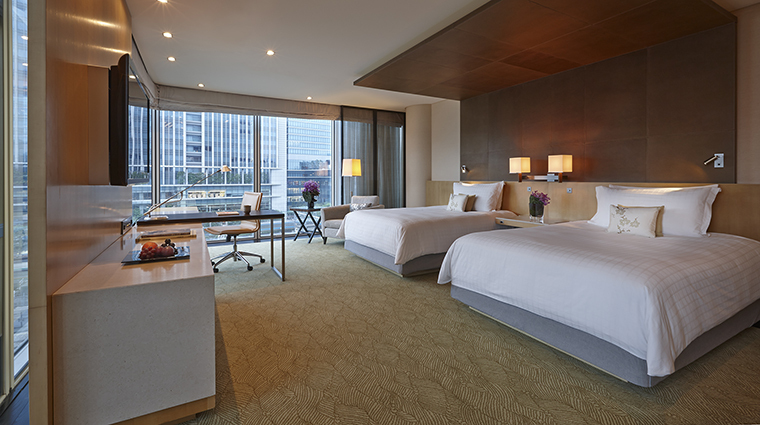 • The in-room entertainment systems are exceptional, too — expect a 46-inch 3D television with Blu-ray, Bluetooth and surround-sound. • You can enter via the building’s main entrance along with ofﬁce workers and visitors, but a separate door for those arriving by taxis is around the corner. 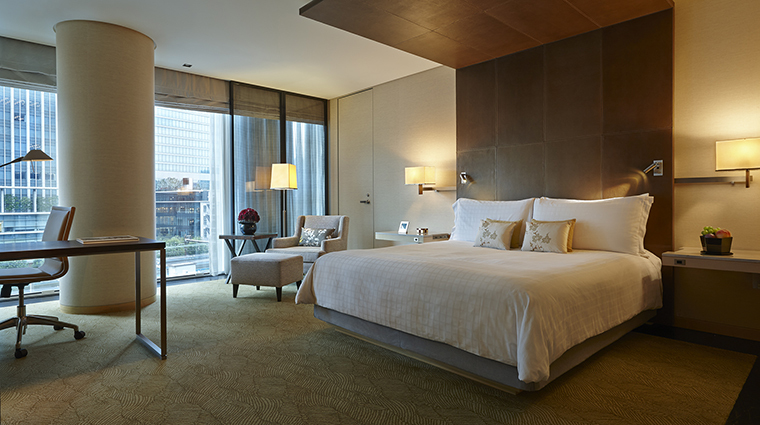 • Because of the low number of rooms, the Tokyo hotel can offer you much more space than most found in this buzzy city. • An onsen is available so you can indulge in one of Japan’s greatest pleasures — soaking in a large, hot bath. A unique way to relax and unwind, this is a shared activity in Japan but the staff is happy to arrange private use, if desired. 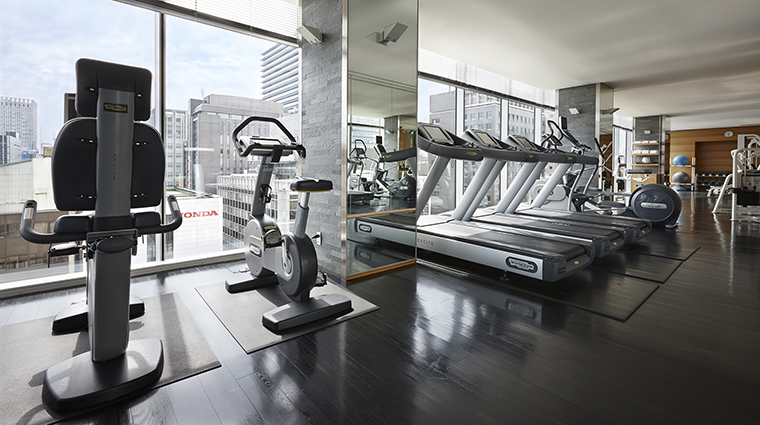 • The sophisticated fitness center is open 24 hours a day and boasts dark hardwood floors and floor-to-ceiling windows. 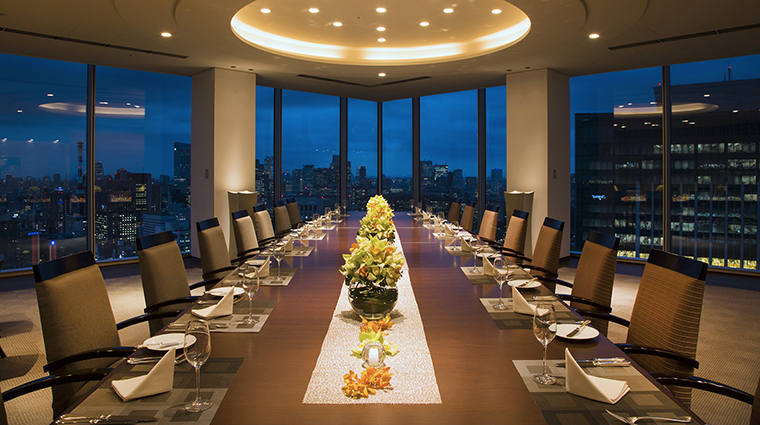 • Easy underground access to both Tokyo Station and the entertainment and restaurant district of Ginza gives you seemingly unlimited options in dining choices, too. 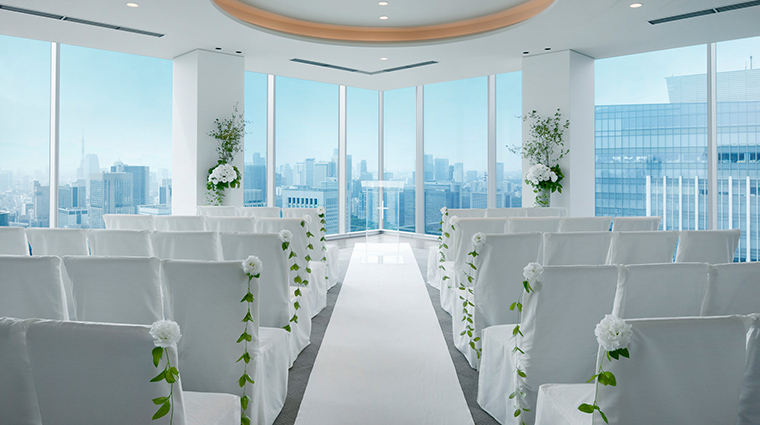 • Inside the rooms, triple-glazed ﬂoor-to-ceiling windows reveal the hustle and bustle that is Tokyo with barely a sound to be heard. • The decor is subtle, understated and yet distinctly Asian. • Large king beds and soft furnishings are covered in neutral colors with muted Oriental touches found in small doses, such as on throw pillows. • Beautiful bathrooms have powerful showerheads and generous soaking baths. Thick, oversized bath towels and bathrobes complete the luxurious space. 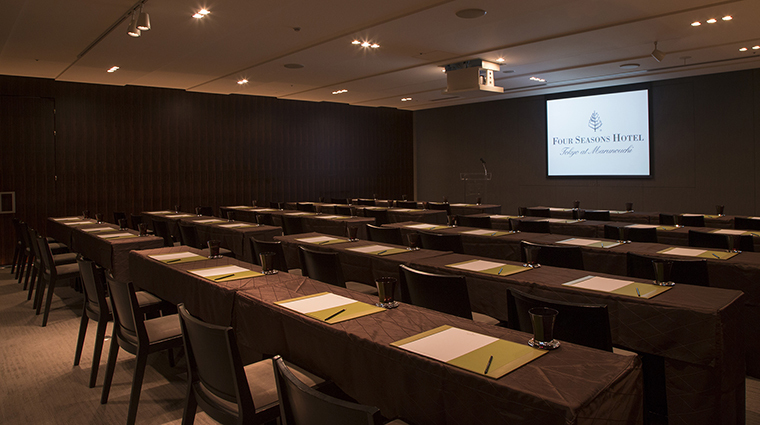 • All rooms offer well-appointed work spaces with free Wi-Fi, conference phones, and printers, fax machines and other business necessities available on request. 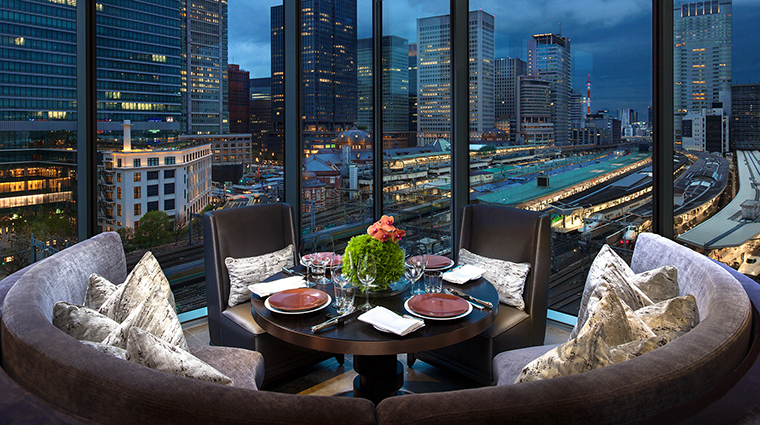 • Opened in 2015, Motif is overseen by acclaimed Hokkaido-based chef Hiroshi Nakamichi and features sophisticated French cuisine. 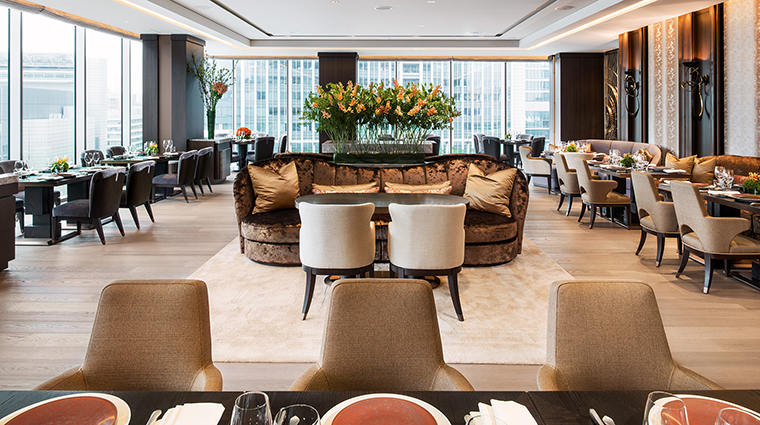 • Regardless of the dining experience guests are seeking, with its space divided in three sections. 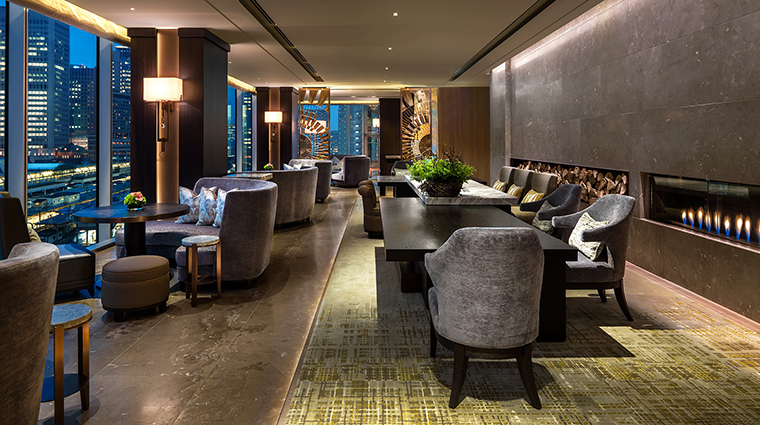 • The Social Salon is the main dining room where you can also take afternoon tea. 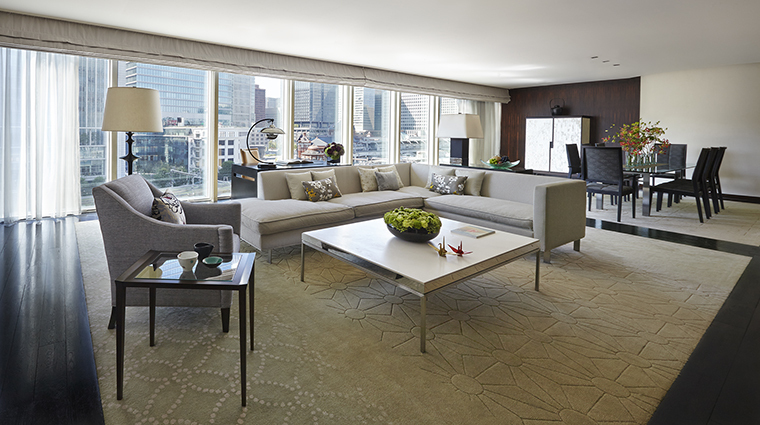 • The Living Room serves as the main bar area. 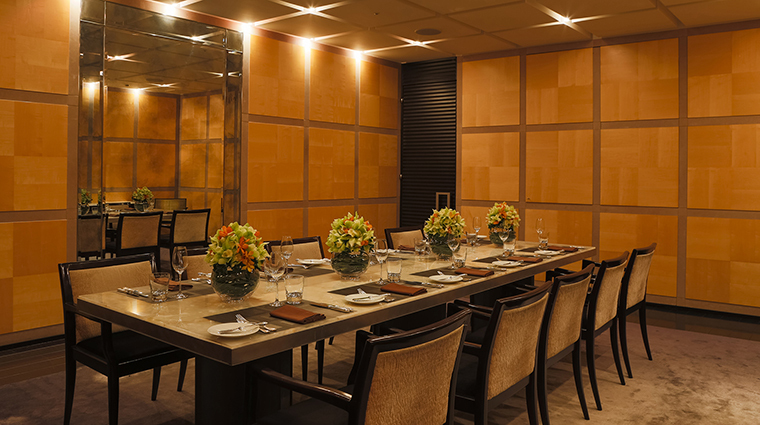 • The Gastronomic Gallery is a casual environment where you can find buffet items during the day.